Sources are important in different writings that we encounter on a daily basis. They are most commonly used when writing papers, assignments, and in other forms. Moreover, sources are important when presenting written research in different fields, including history, sciences, and arts. They help in giving the reader assurance that the writing was either obtained from the writer’s own reasoning or from the research of other people. At some point in college, bystanders may have witnessed students getting in trouble for plagiarism. Failure to cite sources results in plagiarism and this brings about hefty penalties. Different institutions and universities have made it mandatory to cite sources depending on whether the student obtained information from different sources or from his or her own reasoning. These are original documents. For example, diaries, artwork, poems, letters, journals, treaties, and speeches fall under primary sources. Secondary sources interpret primary sources. For example, they can be articles, television documentaries, conferences, biographies, essays, and critiques of a piece of art. They are written by people with experience. Professors in specific fields may write these. They are written by people or writers seeking information or conducting research such as students. Primary sources are written by specific individuals who said or wrote about a theory or event. Secondary sources are often pieces of writing that elaborate on the original source. Primary research comprises of original research about various crucial topics. However, for secondary sources, the information obtained from primary sources form the baseline of the content. Primary sources comprise of data obtained from surveys, census, economic statistics, or different datasets that have not been recorded before. 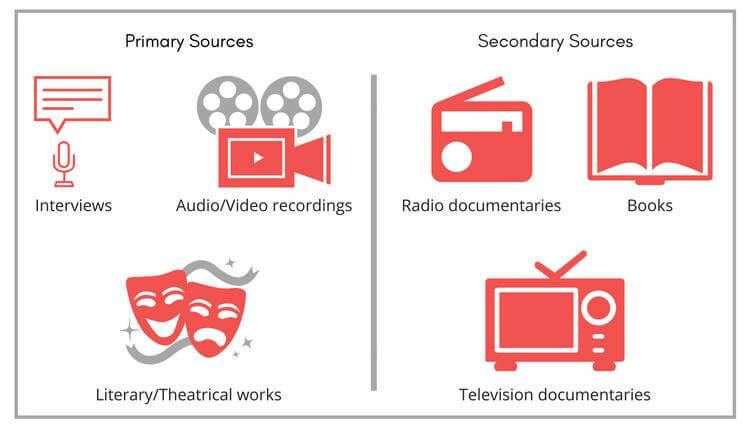 Secondary sources also contain such data and are referenced to the original primary sources. Secondary sources are mostly scholarly in nature. A source is considered scholarly when the authors were not directly involved in gathering the original information. Secondary sources contain information from different primary sources, all in one piece. In addition, it is important to consider the credibility of the sources before citing them. This helps the writer avoid the inclusion of false information in articles, research papers, journals, or writing assignments. Some of the more popular secondary sources include MLA, APA, and Chicago Manual of Style (CMOS). These are basically citation styles that enable the writers to cite information obtained from different sources. In APA style, the reference list comprises the sources that the writer read in particular. The page number, author, and date of the source are required. In-text citations are included in parenthesis. Moreover, the author should be acknowledged in the sentences. In MLA style, the writer should reference the source. In CMOS, there are only two formats, the author-date, and note. This entry was posted in Author-Researcher, Lecturer on July 6, 2018 by Vekky Repi. Journal databases are important research tools to navigate before completing a well-organized research publication. After completing the first steps to find the right journal in which to publish, the exploration then delineates by research topic. Once you find a key platform suited for publishing your research paper, you can investigate its potential to build your manuscript; therefore selecting the right journal database is as important as selecting the right journal for your manuscript. The frontiers of research have increasingly become multidisciplinary with the advent of advanced and interconnected technologies. In alignment, many multidisciplinary research databases have come into existence, including Academic Search Complete, which is designed for academic and government institutions. At a glance, the database supports cutting-edge multidisciplinary research fields, offering journal lists by title or subject. The list of full-text titles ranges from subjects in the social sciences and humanities to health and medicine to science and education. In accordance with multidisciplinary subjects of interest, the list offers journal publications, publishers and details of the journal’s peer-review process. The database includes more than 4,000 active full-text, peer-reviewed journals that exclude an embargo and that are indexed on Scopus. In addition to journal information, the database hosts author affiliations, email addresses, abstracts, keywords and native files in PDF format. In the specialized subjects of digital humanities and social sciences, authors can access Project MUSE for scholarly content. Designed by the academic community for the academic community, the database disseminates scholarly research and assists research engagement. Founded and designed as a nonprofit collaboration between libraries and publishers, the digital content introduced to MUSE remains permanently online. The portal allows researchers to search books and journals, with access to sample full-texts and book chapters, without a subscription. More than 120 publishers participate in the project that offers book-length scholarships, fully integrated with scholarly journals. The Education Resources Information Center (ERIC) offers a range of educational resources similar to that of Academic Search Complete. Selections include human resource management in higher education, accounting education, mathematics, and reviews by demography, indexed through the selection policy. The database is straightforward, and lists a comprehensive range of journals and non-journals for users that are arranged in the alphabetical order. ERIC further improves its accessibility by offering a ‘Thesaurus’ search option, allowing users to discover a range of thematic possibilities. Although nearly all listed databases offer cutting-edge scientific journals, the nonprofit, open-access publisher PLOS, has a unique mission. The publisher aims to transform research communication to accelerate progress in science and medicine. Aside from free and unrestricted access to open research, PLOS further aims to create open-access data and transparency in peer-review. Launched in 2003, PLOS has departed from archaic tradition to enable rapid sharing of scientific work to accelerate science. The journal also provides a platform to discuss negative results, facilitating a transparent window to the process of scientific discovery. Notably, PLOS ONE has in this way assisted researchers by publishing all rigorous science, providing a scope for researchers’ work. PLOS has proved the viable nature of open-access research as an effective business model, while enhancing the researcher’s citation metrics. PLOS offers a range of specialized publications for potential authors, including PLOS Biology, PLOS Computational Biology, PLOS Medicine and PLOS genetics. Each journal provides detailed publication criteria for potential authors who intend to feature their work within the journal. Among the databases for scholarly resources, JSTOR and BMC also share center stage. JSTOR has recently added Security Studies and Sustainability to its database. Accordingly, the resource explores scholarly resources on international security and peace and conflict studies, alongside research reports on environmental stressors. The JSTOR research archives span multidisciplinary research fields, including biological sciences, law, urban studies and business and economy. Areas further include the arts, history, science-technology-engineering-medicine and mathematics (STEMM). Another pioneer of open-access publishing, BioMed Central (BMC), provides an evolving portfolio for broad interests in biology and medicine. Specialized journals such as Microbiome and the Malaria Journal are also included within BMC. Additionally, subject-specific journals are available on BMC Evolutionary Biology or BMC Public Health. The BMC series further outlines its highly selective, flagship journals, their editorial thresholds and structure, on each journal site. BMC Research Notes is a platform that hosts publications of scientifically valid research outputs that cannot reach a full methods article. BMC Proceedings allows conference proceedings, peer-reviewed full-length articles, meeting abstracts and reports across the scientific and clinical spectrum. The process of publishing your research need not reflect the academic research process of indirect tangents. Most academic researchers are specialized in a discipline of interest or skilled across disciplines and their scope warrants a robust platform. Open-access and open-data research platforms can boost research metrics, while allowing a broader audience to engage with the publications. Specialized research publications, narrow the subject area to a specific audience, promoting a research scope within an interest niche. Once researchers finalize their research output, journal databases can streamline the publication process. Good science is never conducted in vacuum. Scientific collaboration is a large part of successful research, and without collaboration, scientists can miss out on good ideas. Mobile scientists, who move between countries over the course of their research, are instrumental to this collaboration. Recent social and political movements, such as Brexit and the United States travel ban, have the potential to threaten scientific collaboration. These movements lower the ability of scientists to travel, which can keep reputable research and good ideas from spreading. Scientists need not be mobile to collaborate effectively, but mobile scientists’ work has a greater impact on the scientific community. This is because their work spreads quickly to diverse corners of the world, attracting interested scientists with varied perspectives. In recent months, multiple studies proved that scientists’ mobility is correlated with the amount of collaboration they participate in. This increased amount of collaboration is also correlated with scientific impact. Mobile scientists often publish research through institutions in countries other than their own. Although this increases visibility of their work, increased impact is not a measure of quality. Cassidy Sugimoto, a professor at Indiana University, showed that visibility can be positive or negative. She and her colleagues, including Nicolas Robinson-Garcia of the Technical University of Valencia, have observed a feedback loop benefitting veteran scientists. This loop, called the Matthew Effect, helps visible scientists become mobile, increasing visibility further. Newer scientists may experience difficulty promoting their work when this loop exists. Increased visibility encouraged scientists to move between countries. This can affect different nations in different ways. Some brain drain has been observed in recent years in Asia, while diversity of research and scientific innovation has been increasing in developed countries. Many women from Middle Eastern countries experience a jump in their production and impact when they come to the United States. North America and Europe attract scientists from all over the world, and also export accomplished scientists into new networks across the globe. When “Brexit” signaled that Britain would leave the European Union, the implications of the vote were of concern to scientists. Brexit is already affecting research collaborations across Europe in a negative way. British scientists fear being cut off from European scientific networks that they rely on for funding and collaboration. Tentative plans are in place to ensure scientists will not lose opportunities. However, the scientists are still uncertain of their future until the second stage of Brexit talks. A similar situation is occurring in the United States, where President Donald Trump’s travel ban prohibits citizens of multiple countries from entering. The ban has blocked scientists from short-term travel to the USA, and made it more difficult to attend meetings. The impact is especially severe for Iranian scientists, whether students or established researchers. A number of talks have been canceled in several fields, right from geology to genetics. Legal challenges may lessen these restrictions in the future, as they have in previous versions of the ban. The motivations behind these policies which limit scientific collaboration are varied, and reflect the current social and political climate of each country. Some attribute the restrictive policies to a rise in nationalism or populism. On the other hand, some see them as a reflection of fears about immigration and global interconnectivity. Some researchers also interpret the measures as an expression of distrust toward science in general. The multifaceted nature of these motivations makes finding a solution that will please all parties particularly difficult. Caroline Wagner, a social scientist at Ohio State University, has studied how a country’s openness to scientific collaboration and diversity affects its scientific productivity and impact. She and her colleagues analyzed a variety of factors. These included how easily researchers can enter or exit a country and the impact of gender or racial diversity. Wagner’s work echoed Sugimoto, highlighting a correlation between ability to move and scientific impact. The ability to move contributed to greater diversity and innovation in laboratories. Wagner’s work shows that a country’s openness is a powerful predictor of how much impactful science it produces. Although investment in research and development is important, openness was a better predictor of how well a country’s scientific knowledge would spread, and how enticing it would be to those with new ideas. Some countries are embracing Wagner’s work and making a concerted effort to increase diversity and collaboration. According to scientists studying the phenomenon, these countries may soon challenge the current global scientific powerhouses. A lack of global openness to scientific collaboration could have far-reaching impacts, affecting many people inside and outside the scientific community. Male scientists are generally more mobile than female scientists, and restrictions to mobility could widen that divide. Local scientific networks would not progress without international cooperation, impacting the daily lives of scientists and non-scientists alike. Without new ideas, innovation could stall, slowing progress globally in the scientific community. Sugimoto, Wagner, and their colleagues believe that governments must take steps to promote easier travel between countries for the sake of science. This is not an easy undertaking, since the Matthew Effect and other potential biases exist. Sharing the benefits of science makes it the most useful to the global community. Collaboration among scientists all across the world ensures this. The preservation of scientific progress is a long-term goal which requires constant maintenance. Short-term goals serving the interests of individual countries are also important, but they conflict with scientific progress when they restrict collaboration. Advocates for greater scientific collaboration believe that countries should rely on long-term objective data trends concerning diversity and impact to make effective policies. Scientific collaboration is essential on both the international and local levels. Wagner pointed out in her work that a single policy may not be useful for all collaboration levels. Creating robust policies that can enrich scientific collaboration at both the local and international level may prevent the stall of progress. In the first and the second part of the open access (OA) infographic series, we discussed popular open access journals across different disciplines and shared eye-opening statistics on open access policies and mandates. In the concluding infographic of this series, we share some interesting insights on OA repositories. OA repositories or archives enable researchers to share their research output on a digital platform that allows easy and free access to everyone. Repositories are generally organized by subject area. However, certain institutions also maintain archives that cut across disciplines. These repositories can house different types of content, namely articles, books, monographs, data, multimedia files (audio/video), conference proceedings, and more. With the development of effective search engines, change in publisher’s OA policies, and the emergence of new storage and publishing technologies, open access repositories are here to stay. 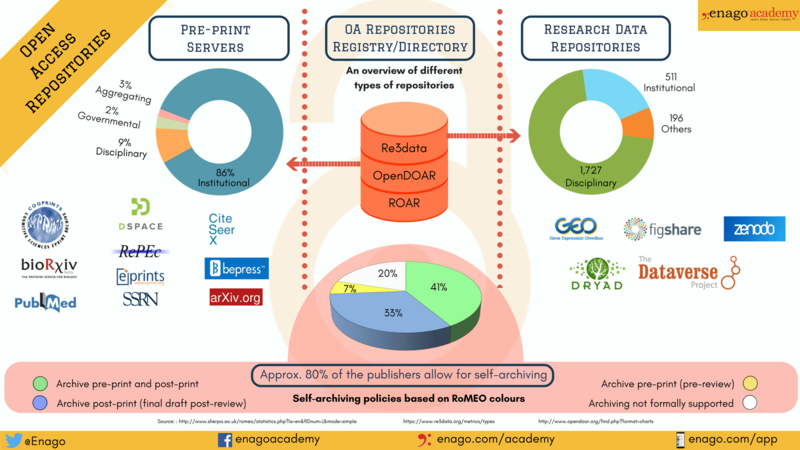 In this infographic, we discuss the different types of OA repositories and their contribution to the OA publishing landscape. Interestingly, the presented data also depict how publishers are rapidly adopting the self-archiving policies. Research papers are packed with information; however, not all of it needs to be included in your main paper. Although you want to share all of it, your paper should focus on only those data that are relevant to your hypothesis and conclusions. So, what do you do with the rest of the data? Where do you put it so that anyone interested can find it? The answer to the question is appendix. Let us find out more about it. An appendix comprises additional information that was gathered during your research but that you will not include in your paper. Many times, your data analyses are too detailed to be included in your main text. This might include lengthy spreadsheets of data. You want your readers to stay focused on your main discovery but also want additional information to be available to them. Your readers can peruse an appendix at will but won’t have to use it to understand your research. Your appendix is presented in the order it is cited in the text. Graphical illustrations and tables not needed in the main text. Raw data (compiled in table format). An appendix is formatted in much the same way as your main text. It has a title page labeled with a numeral or letter in the order in which it is cited in your text. Subtopics (or “subheaders”) are also labeled using the same format. Title: Appendix A: Data from Site 323 (the first appendix to be cited in the text). Subheader: 1: Data on Male Species. Tables/Figures: Table A1. Fecundity of Females in Second Year (figures would follow the same formatting). The second appendix would be labeled “Appendix B” with the same designations for subheaders, tables, and figures. Keep the author guidelines in mind for specifics on citing appendices in your main text. Appendix pages are consecutively numbered following your main text (i.e., if your text ends on page 35, your appendix will begin with page 36). Do include the appendices in your table of contents. Placement of your appendix (or appendices, if more than one) depends on the target journal’s style guide. Some style guides, such as the American Psychiatric Association, place appendices after tables and figures. Others might ask you to include appendices before or after your references. Check your author guidelines for protocols. Just imagine, it is 1970 and you are a young physicist working in black hole theory, which was a new and startling topic in the early 1970s. You have discovered what comes to be known as the second law of black hole dynamics, a significant scientific discovery. You realize the importance of your work, and you wish to publish, but few traditional journals will accept a manuscript on what is very unconventional thinking in the scientific world. So most of the journals rejected your article. However, eventually your article got published and you became famous. Your name is Stephen Hawking. How would you have felt as a young, unknown researcher if your first article was rejected by major scientific publishers? What could you have done to make the manuscript more “publishable”? Why didn’t the reviewers and editors recognize and encourage the worth of the paper? Do you think a revision of manuscript could assure successful acceptance the first time? Let us try to find out. Why Do a Manuscript Revision? To answer this question, you must understand what a manuscript revision is and how the revision adds to its final value. The goal of revising a manuscript is to change it for the better. Revise means “to see again.” Revising might mean few changes, or it could mean making “large, sweeping changes, reorganizing part or all of the text, significantly adjusting tone and voice, or adding and removing chunks of text, as well as fixing grammatical errors.” Revising might be done by the author, the journal editor, or peer reviewers, who are experts in the applicable subject. What is the Difference between Revising and Editing? How do you distinguish between revising and editing? Revising is often called “self-editing.” When you sit down to reread your first draft, you will note down what you want to change. This process is revision. When you hire someone to bring a professional perspective to the text and make sure it’s clear and accessible for someone else, that is editing. You must realize this difference to know what to do and in what order. First you revise (work on it yourself until you’ve made it as good as you personally can), and then you edit (bring in a professional to make it better than you can). Realizing this difference enables you to know what to focus on in the document and to assure that it includes everything you intended to say. Revisions fall into different categories. The first kind is the revision you do yourself. However, if you submit the manuscript to a journal, chances are it will be sent to one or more peer reviewers for their thoughts. A peer reviewer is an expert in the field who reviews the document, by adding comments. Revisions from the peer reviewers are then sent back to the author for comments. There are companies that can provide professional editing and peer-review services for your manuscripts. To which journal or publishing house are you submitting? Have you maintained the word limit for your manuscript? Did you check the reference protocols? What is the average acceptance rate for that publisher? How long will it take to do the review? Once you have gotten feedback from peer reviewers, which changes do you agree with and which do you want to reject? After you have finished revising your manuscript, experts agree that it is a good idea to set it down for some time and think about the manuscript as a whole. Are you sure you haven’t plagiarized anything? Have you proofread the document before submission? Most reviewers take two to three months to return a manuscript. When you return the revised manuscript to the peer reviewers, you should be certain that you have addressed all the comments and responded in a polite manner. Criticism never gets appreciation in the world of reviewing. Peer reviewers provide you with a marked-up copy of your manuscript, showing the changes made since the original submission. The best way to make changes on a manuscript is by using the “Track Changes” option in Microsoft Word. It is best to upload a revised document with a different file name than the original. The revised file shows the changes highlighted. Authors and peer reviewers can make changes using different colored fonts to distinguish who has done what. Only nine percent of the 6,000 annual manuscript submissions to the Journal of the American Medical Association are accepted for publication the first time. Therefore, you can expect some rejection after submitting your manuscript for the first time and perhaps even after major revisions. The purpose of manuscript revisions is to improve your chances of acceptance. Review yourself well and then accept the good advice of others. Once that is done, feel assured that you will not regret the time you spent revising. Adverbs, the lesser known offspring of adjectives and verbs, are words that modify the original meaning of their parents – the adjective and the verb. Adverbs in scientific writing can alter the way an action can be done, such as “thoroughly” or “briskly”. To do something “very quickly” has an entirely different meaning to doing something “quickly enough”. This is what makes adverbs so important. They tell us more about what is going on. In many research papers, adverbs can be used effectively to demonstrate a point. You could refer to a scientist who “regularly” expresses the same view or bias by using an adverb to show the extent of their credibility as a source. You could also write that another source cited in your paper “expertly” stated a case, or that they “eloquently” made their point. These would all add plausibility to the reason you chose them as your research paper’s sources, making your paper have a stronger argument overall. Adverbs can be incredibly useful in bringing across the stronger meaning of a sentence, and can be extremely persuasive. “Incredibly” and “extremely” are just two examples of this. It was a poorly orchestrated research. The book has some or exceptionally well written pieces. They can describe the manner of an action, such as a “hastily” typed essay. Adverbs can even tell you when it happened, “early” in the morning. They can intensify, and “really” add weight and potency to a sentence that would “simply” be lacking without a “handy” adverb. Why Can’t We Use Adverbs All the Time? Our sources are “really” good because they “truly” state their “rigorously” informed opinion. There are so many adverbs used in the sentence that it has lost meaning. Certain verbs are there which replace these adverbs. For instance, rather than saying you are “seriously” interested in the research paper’s topic, you could say you were “engrossed” in it. This verb conflates the meaning of two words, the adverb and the adjective, into one. Worse than overusing adverbs is using an adverb in a grammatically incorrect sentence. It can take away the meaning and lower the standard of your paper overall. For this reason, keep in mind the rules of grammar. If you were to say the experiment went “very much well”, you are adding a determiner after an adverb. This is unnecessary, so just go for “very well” instead. If you wrote that your professor “aggressively” took the temperature, you would also be using the adverb incorrectly. The adverb goes after the action in the structure of this sentence, so you would write that your professor took the temperature “aggressively”, intensifying their action further. The proper use of adverbs in grammar is an important aspect of academic writing. For an overview on other aspects of academic writing such as punctuation. Scientific researchers know how important it is to communicate their findings via illustrations and diagrams. Poorly drawn figures are difficult to understand. As a result, they degrade the overall quality of a paper being submitted for publication or presentation. As an author of scientific articles, you need to educate yourself on basic guidelines on image production. One thing to remember is the difference between vector and raster images. Raster images are the more commonly used image formats, such as JPEGs and PNGs. These file formats are fine for everyday use. 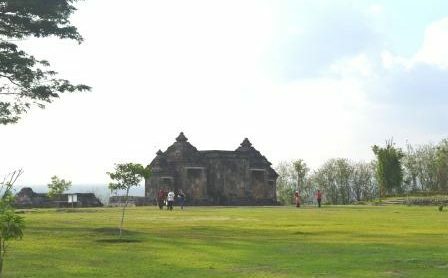 Photographic images with grey areas and non-distinct edges are generally available in this format. However, when it comes to presenting sharply drawn line art and graphs, vector images are the best choice. In fact, they are the best for artwork submitted to scientific journals. Vector type graphics utilize file formats such as PDF, SVG, and EPS. Does the program work on your operating system (i.e., Windows, Mac, etc.)? Is the user interface easy to use? Are tools easily available? Is the program well suited for vector file types (see above), both for import and export? What Makes InkScape a Good Choice for Vector Graphic Editing? InkScape is open source, which means there is no cost to use it! This sets it apart from Adobe Illustrator and other commercial programs that until now have dominated the market. The InkScape program works with SVG-type files, which can be produced via open source programs. A wide range of editing tools and features allowing the author to create scientific diagrams of the same versatility and quality as those produced with Adobe or InDesign. InkScape runs on all operating systems: Windows, Mac, and Linux. InkScape is a good choice for authors preparing diagrams and other line art in their manuscript. At the same time, you should be aware that this open source program has a few limitations, compared to high-priced programs like Adobe. For example, if you need to create images in color, be sure to double check that CMYK colors are available in InkScape. This is something that most printers will require if they are to accurately reproduce your color artwork. A 2016 article reported that InkScape did not include CMYK color profiles. However, the CMYK option is listed in the current features list for InkScape. It is always a good idea to communicate directly with software providers to clear up these kinds of questions. In general, you should always be aware of the specific requirements of the target journal for image production and especially the editing of images. Be sure to consult the guidelines for authors for each journal before you invest time and effort in editing your images. Even more importantly, every author should review and understand the criteria used to judge images for source and accuracy. Preparation and editing of images should not lead to image manipulation. Inappropriate or fraudulent manipulation has, unfortunately, become a common occurrence in scientific publication. We witness misconduct in every field of study and in all walks of life. Although the excuses may vary, humans tend to misbehave and sometimes even justify their misbehavior. Enago Academy has published several articles on scientific misconduct and its dire consequences (retraction, loss of credibility, job loss, etc.). Here, we build on those articles and discuss the consequences of misconduct in academic publishing. We also provide suggestions on what should be done when you observe misconduct at your workplace. Fabrication: making up and reporting false data. Falsification: manipulating research by using different processes; misrepresenting data and results. Plagiarism: using others’ research work without citing it. Honest mistakes also occur unknowingly; therefore, they are not considered in the realm of research misconduct. The most severe offenses are those that force experts to question the soundness of the scientific method(s) used. These are serious in nature. Authors need to carefully consider the penalties and stakes involved. All those involved in the research, even the publisher, are ultimately responsible for the integrity of the research paper. The retraction of a paper involves a formal withdrawal of an already published article. This is a serious action and the last resort for dealing with misconduct. Before doing this, the journal adopts other measures to resolve the identified issues. Such measures include correcting unintentional typing mistakes or errors in analyses. The journal publisher does not subject the author to further disciplinary actions in all such cases. With the advent of technology, it has become easier to identify misconduct. The number of retractions has therefore increased significantly in recent years. A retraction is damaging to everyone involved. According to an article from 2016, fraudulent research damages the reputation of not only the publishing journal, but also that of the author’s institution. All entities involved become responsible in some way for this serious overlook. The publishing industry also suffers and readers begin doubting the credibility of published research. Authors suffer a great deal from retractions because they lose peer recognition. According to a study conducted by MIT and published in 2017, authors can experience a 10–20% decrease in citations after a formal retraction. Article retractions irreversibly damage the authors’ reputation. The scientific community begins doubting the integrity of the concerned research group. Journals avoid entertaining authors whose articles have been retracted on previous occasions. Even high-profile researchers find it difficult to publish again, after a retraction. Authors with retracted journal articles sometimes also lose their jobs. If the fraud committed is extremely serious, then they face legal repercussions and even imprisonment. Special organizations have been set up to deal with research misconduct. ORI and the Committee on Publication Ethics (COPE) are two organizations that help the scientific community address unethical issues. They provide policies and guidelines to help identify and prevent research fraud. In addition, they provide advice to publishing industry personnel on managing issues related to academic misconduct. So what should you do if you suspect misconduct? There are several measures that you could adopt. PubPeer is one avenue through which you can report cases of suspected misconduct. Users can discuss scientific research and peer reviewers can review published articles using this platform. PubPeer community discussions sometimes lead to article retractions. Retraction Watch (a blog launched in 2010) keeps an accurate record of retractions. If you suspect scientific misconduct of any kind, you should comment on this website and contact the journal editor regarding the offending paper. If the concerned journal confirms the scientific misconduct, it immediately issues a formal retraction notice.